5 Best TutuApp alternatives – TutuApp is one of the famous app stores that will have on almost everybody’s iPhone. it has its own cache cleaner and memory optimizer that attracts people to it. It provides to iOS users with a convenient way to download amazing tweaked apps, hacked games, paid apps for free and much more content in a single place. But if you feel bored of using it then there are many TutuApp alternatives that you can download besides it. Yeah, there is a long list of TutuApp alternatives. but you don’t need to waste your time on the internet to skimming through the list. because I’ve already done it and prepared a TutuApp alternatives list for you. 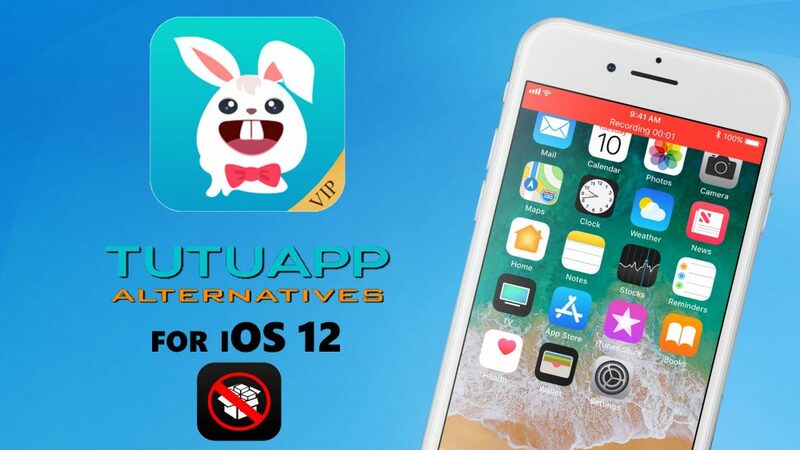 and through this article, I’ll show you guys 5 best TutuApp alternatives that you can download on iOS 12 or earlier devices without jailbreak. These alternatives can be downloaded on every iOS devices & version. Even you don’t need a jailbreak or any root. also, some of them will give you a great experience as compared to TutuApp. so let’s go further because I know you are pretty excited to see these alternatives. Emus4u is that app, which will give you full permission to download those applications & games that are no longer on the official app store. guys, You don’t need to undergo any sort of signing in process. You just need to download & install it on your iOS device and dive directly into its contents. the best thing is that it has a cache cleaner like TutuApp. you can download all content from it on an unjailbroken devices. At the second number in my list is HipStore. of course, some of you guys already know about it. but those, who don’t know about it, I want to tell them it’s a new app store in the app stores relative market. Flekstore, we can call it a Cydia alternative too along with TutuApp alternative. those iOS users, who don’t want to jailbreak their iOS devices and want to download Cydia on their iPhone & iPad, have a great alternative to download besides Cydia. it’s a house of all those applications that are originally paid in the official App Store. But it provides them for free. the best thing is that it allows you to download tweaks that are similar to Cydia. The TutuApp alternatives list won’t complete without vShare. I know this one, all you are expecting to me. because in my opinion, there are many alternatives but no one compete with vShare. Also, it is the very first app store that allows people to download paid apps for free and is still going strong. it provides your major hacked tweaked that you can download without jailbreak. AppEven, it’s almost the same as like TweakBox and it’s a house of modified apps. like, Facebook, Whatsapp, Instagram, Snapchat, Twitter etc. It has the countless application that you can download on your iOS devices & versions. it doesn’t require any jailbreak or any root. AppEven is considered to be a worthy alternative to vShare as well. I recommend you to download and give it a try. So this article was about some of the major TutuApp alternatives that you can download besides TutuApp. thank you guys for reading this article and being with us. Hope, you have got something from these alternatives and if you like this post then please don’t forget to share it and also visit daily on this website for reading more new and helpful articles.